The easiest way to make sure everything gets done. All neatly organized in one place. With real-time sync across 10+ platforms, everyone will have the most up-to-date information. Always. When everyone knows exactly what needs to be done and when, teamwork flows smoothly. Say goodbye to lost sticky notes, chaotic email threads, and long status meetings. Everything stays organized for everyone. Get a clear overview of everything your team is working on – what’s already been done and what’s coming up next. It’s free to use for 30 days, with no limits. View invoices, manage team members, and sharing permissions. Get an overview of what your team is working on. Gamify your team’s productivity and visualize achievement trends over time. Discuss details, share information and exchange feedback with your team. Share files from your computer, Dropbox, or Google Drive. Get notified whenever changes happen in shared projects. Your business data stays secure with bank-standard SSL encryption. Daily backups of all project data can be restored at any time. Enjoy seamless sync across all your devices with 99% system uptime. Add any due date using natural language like “every friday at 8am”. Get reminded of upcoming tasks via email or push notification. Remember to follow up by turning emails into tasks in Gmail and Outlook. Focus on the most important tasks first using color-coded priority levels. Organize tasks into contexts with labels like “@email” or “@waiting”. Create custom filters to save your most important task views. 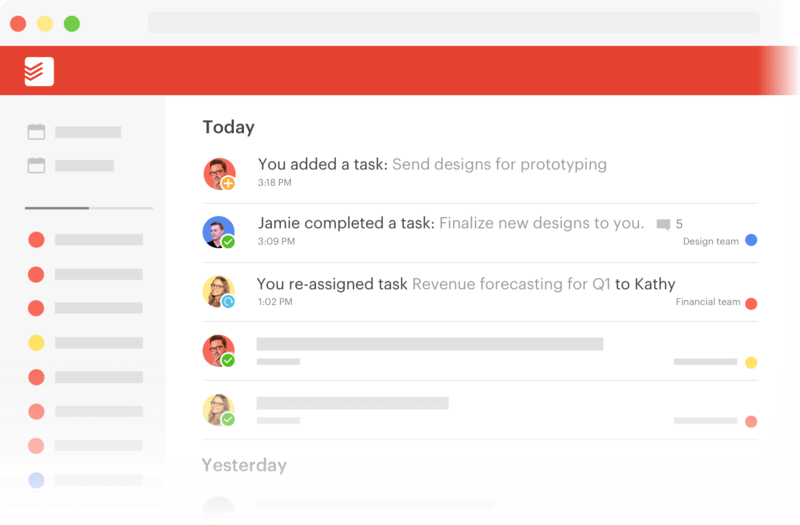 Todoist has had a huge impact on how we manage tasks. It’s become an invaluable tool in my arsenal for managing both my team and my personal life. 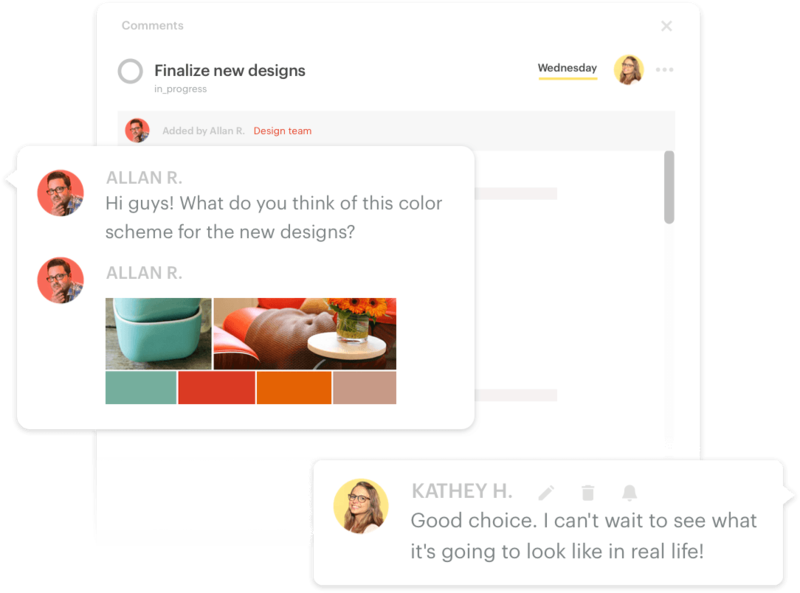 Over 40,000 teams trust their Projects, Productivity, and Peace-of-mind to Todoist. Simple enough to start collaborating in seconds. Powerful enough to execute your most ambitious plans. Want to make teamwork calmer, more organized, and more productive? Try out our new team communication app, Twist.